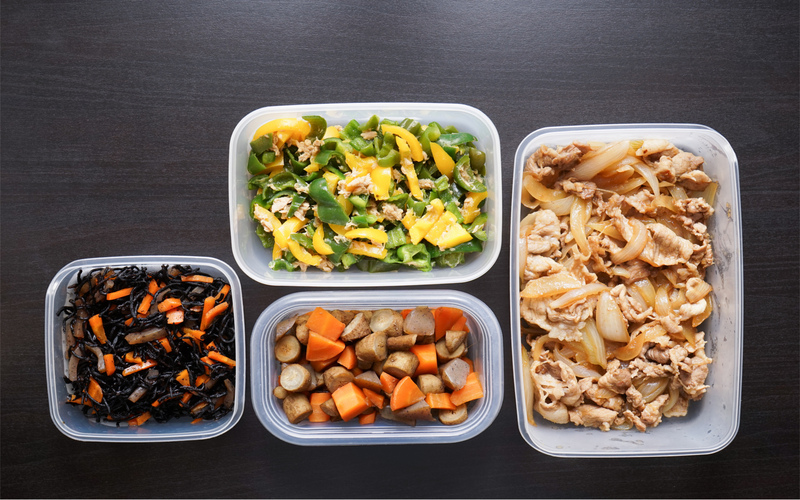 If you’ve struggled with your health, or your weight, chances are you’ve probably debated cutting carbohydrates completely out of your diet. Most people believe that carbs are bad for our health overall, and believe that they encourage weight gain, as well as sudden blood sugar spikes when the sugar in the carbohydrates enter our blood stream. Carbohydrates are made up of starch, which is a chain of glucose found in several different foods like grains, potatoes, and legumes. Starch is the most common type of carbohydrate found in our diet. 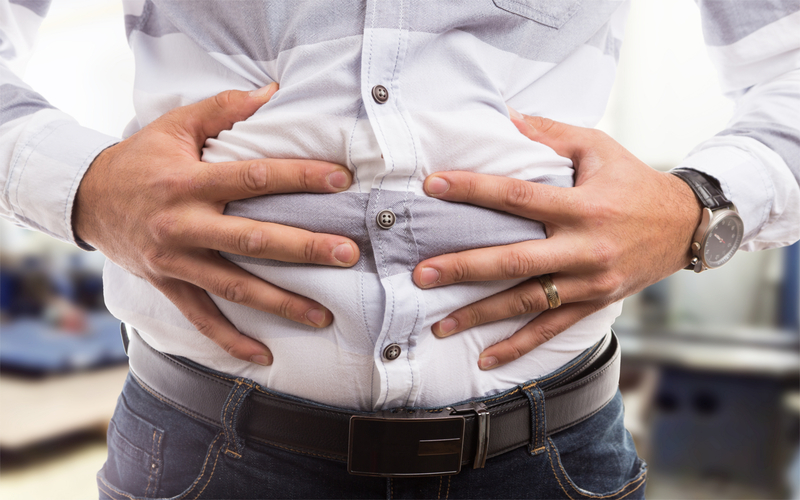 While most types of starch break down early on in our digestive process, there is a type of starch called resistant starch that doesn’t fully break down until it passes into our intestines. It’s primarily found in uncooked, unprocessed foods. There are a few different types of resistant starches, which are divided into four types depending on their source. Type I is only found within the cell walls of plants and is physically inaccessible to digestive enzymes. Enjoy Type I resistant starch by eating grains, seeds, and legumes. Type II is untreated starch from high-amylose plants which functions as resistant starch only when eaten raw. It’s often difficult to eat Type II starch on a regular basis because it’s only found in foods like raw potatoes, green bananas, and uncooked plantains, which are difficult to eat without cooking them first. Type III starch can be found in cooked foods that have been allowed to cool, like rice, potatoes, and soybeans. Type III starch is often called “retrograde starch” because it needs to be cooked and cooled before humans can reap the nutritional benefits. Type IV starch is artificially modified to be more resistant and is often found in heavily processed foods. It’s not recommended that we eat too much Type IV starch. There are several different benefits to eating foods that are rich in resistant starch, especially types I through III. Today, we’ll let you in on some ways that eating this healthy carb can actually improve your digestion and gut health, help you balance your mood, and maintain a healthy weight. One of the reasons why doctors, nutritionists, and dieticians recommend that we avoid carbohydrates in large quantities is because it’s well known that eating a large quantity of carbohydrates will cause a major spike in blood sugar, and result in a crash when the fast-acting sugar runs out. 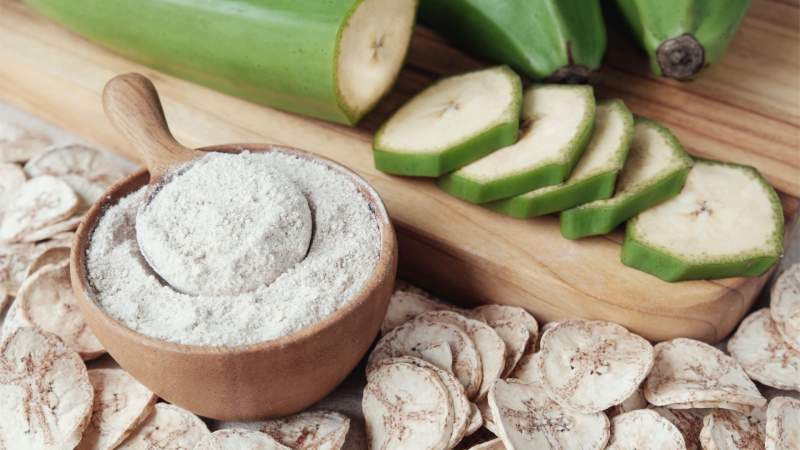 Although resistant starch is also found in carbohydrates, researchers have found that resistant starch actually has the opposite effect on blood sugar. It helps regulate our blood sugar, even when we consume sugary foods hours after consuming the resistant starch. The substance in our body that helps to regulate the metabolism of carbohydrates is called insulin, and the more carbohydrates we eat, the more insulin our body has to produce in order to ensure everything gets digested properly. For some people, this leads to insulin resistance, which is a condition where our cells fail to respond as expected to insulin. Insulin resistance can lead to a number of health problems including higher cholesterol and obesity. A diet rich in resistant starch will help ensure that we don’t become insulin resistant. One of the major symptoms of insulin resistance is weight gain, which can quickly lead to chronic obesity if the condition isn’t kept in check. If you fear that your carbohydrate-rich diet may be leading to increased insulin resistance, you should switch to a diet rich in resistant starch, which will help you lose weight. Consumption of resistant starch has also been shown to help people feel fuller after meals. In the same way that eating protein help us feel fuller for longer, resistant starch gives us long-term energy without the resulting sugar crash that comes when you just eat regular starch. One study showed that regularly eating a combination of resistant starch and lean protein made a long-term difference in women who were clinically overweight. Since resistant starch is not digested by our stomach and is able to make its way into the small intestine, the microbes in our gut that help aid digestion are able to feed on the energy from the starch, which helps to increase the number of beneficial microbes and prevent the development of abnormal bacterial cells in the colon. Eating a diet rich in resistant starch has been shown to help alleviate the symptoms of bowel diseases like irritable bowel syndrome, diverticulitis, and ulcerative colitis. Since it bulks up our stool, it also helps to ensure our bowel movements are regular. Another reason to reach for resistant starches on a more regular basis is if you’ve been diagnosed with intestinal permeability, a condition which can cause both autoimmune diseases and food sensitivities. One type of fatty acid that may be unfamiliar to you is butyrate — it’s a source of food for the lining of our colon. If our body is low on butyrate, it leaves us vulnerable to the growth of tumors and the spread of cancer cells, which could lead to colorectal cancer if left untreated. Luckily, resistant starch has been linked to the prevention of colorectal cancer, because it helps to generate butyrate. Colorectal cancer is the fourth most common cancer worldwide, and it’s been suggested that improving our overall gut health, including boosting our butyrate, can help prevent the cancer’s development. The butyrate which is generated by resistant starch has also been shown to protect against the potential digestive effects of a diet rich in red meat. Since resistant starch passes through our system and only gets digested once it passes the stomach, it helps to regulate our bowel movements in the same way as dietary fiber. This also means that resistant starch helps us retain water when our body is otherwise unable to keep us hydrated, like if we’re suffering from diarrhea, or another condition like cholera which affect our body’s ability to retain water. There are even some electrolyte drinks like PREPD that use resistant starch in their formula to encourage improved hydration. They claim that the resistant starch in their formula helps our bodies retain liquid up to 30 percent more effectively than just drinking water. Resistant starches are found in so many common foods and making a point to boost your intake doesn’t have to mean a huge change in your diet. 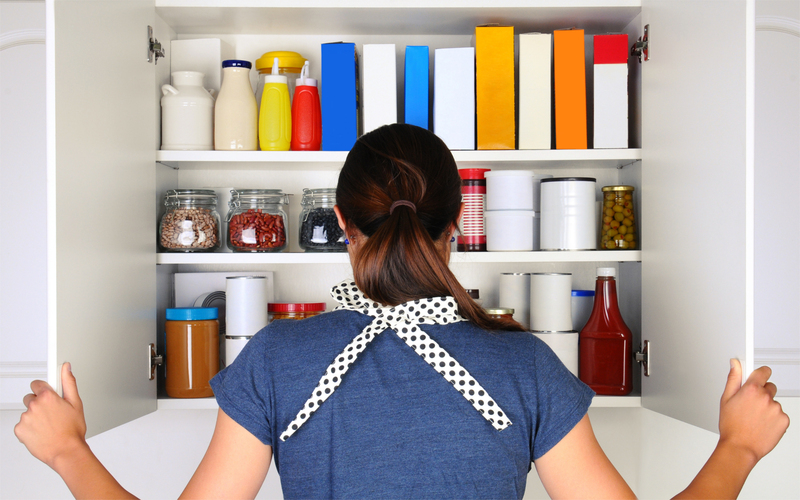 All you need to do is focus more on which foods you’re eating, and how you prepare them. For example, bananas have much more resistant starch when they’re green versus when they’re fully ripened. Some people freeze chopped green banana and use it in place of ripe bananas in smoothies and juices. Another way that you can increase your intake of resistant starch is to pay attention to how you cook your carbohydrates. Type III resistant starch develops in cooked starches that are left to cool, so try roasting a pan of potatoes or sweet potatoes, then eating them once they’ve cooled down in a salad or dipped in a delicious homemade aioli. The only thing to keep in mind when you’re adding resistant starch to your diet is that you should be doing it gradually, otherwise you could be vulnerable to unpleasant gas and bloating as your body adjusts to the change in your gut bacteria. If you gradually increase your intake, it will allow your body time to adjust to the new diet. If you have unpleasant symptoms immediately upon eating a dish rich in resistant starch, consult your doctor as you may have an intestinal bacteria overgrowth or an imbalance in your gut bacteria.